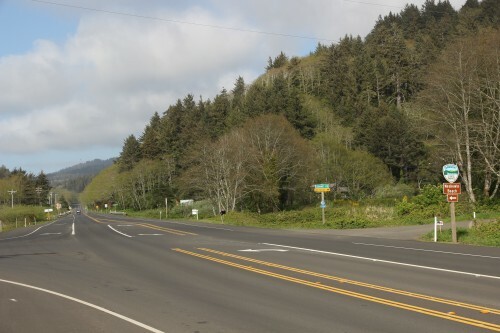 Hwy 101 mile marker 91. Neskowin Beach is just off 101 a couple miles South of Nestucca Bay. 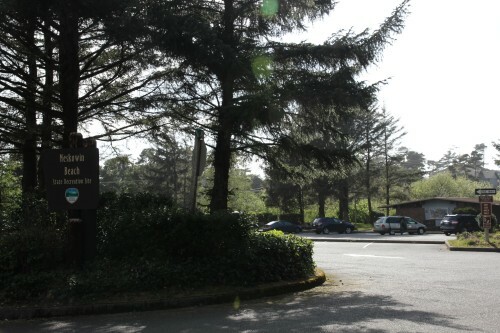 A large store is nearby, along with the Proposal Rock Inn. A section of the beach itself is right next to the town of Neskowin. 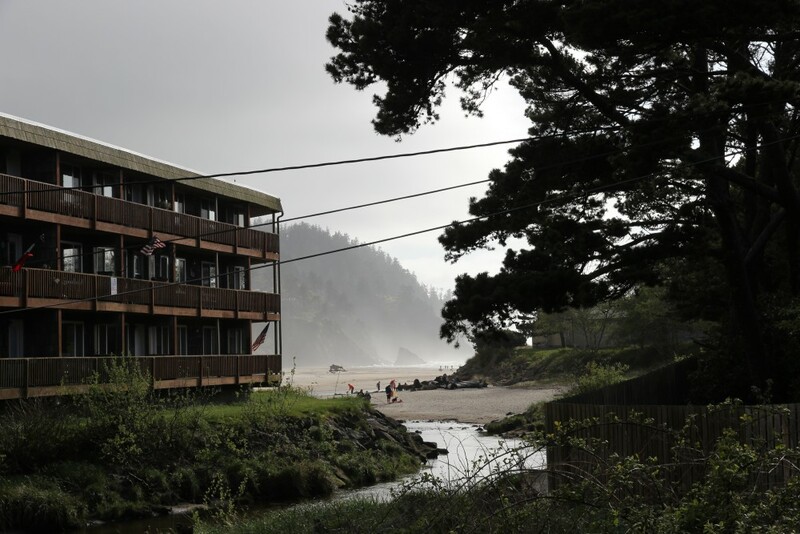 Oregon Parks link:Neskowin Beach No fee. 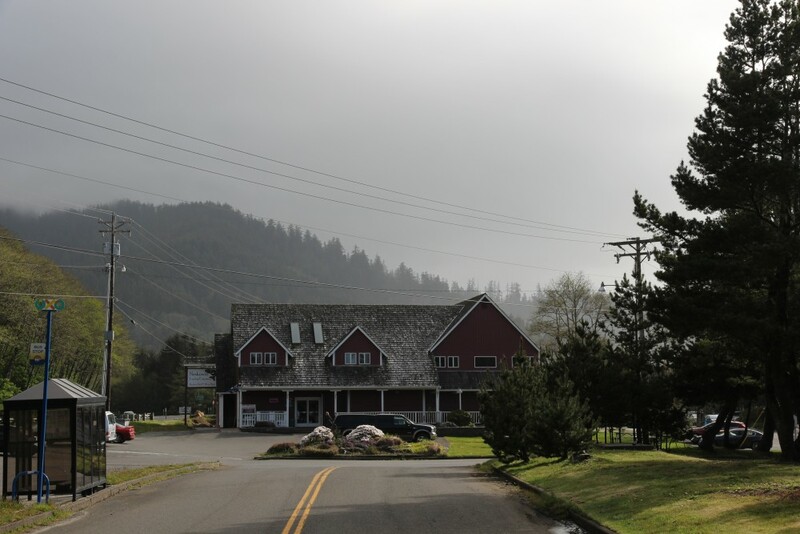 This is the "Neskowin Trading Company", and contains a small food market, a deli, and a wine store. The beach is seen in the distance, and is accessible by a path that leads near the Proposal Rock Inn.